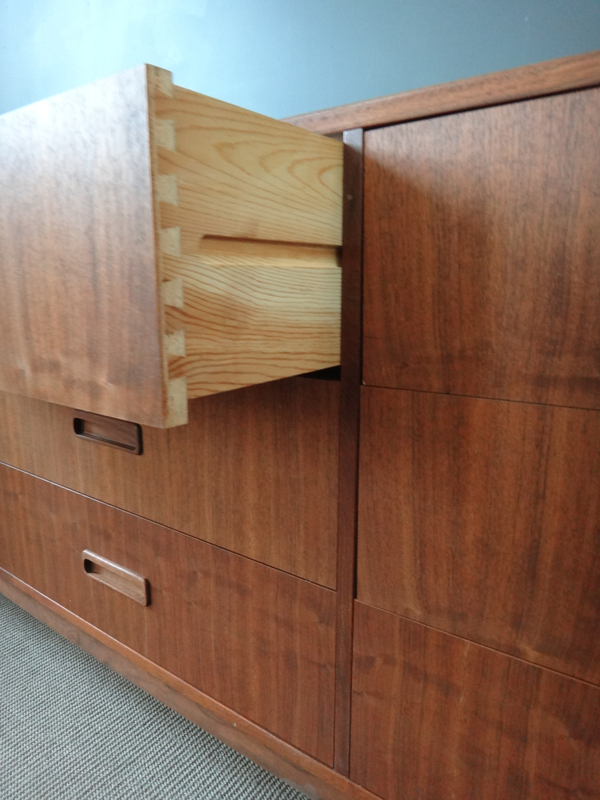 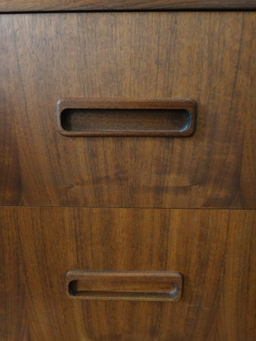 Truly functional, this bureau features a full 9 drawers of storage capability. 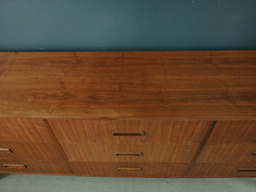 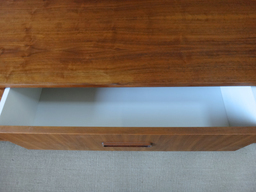 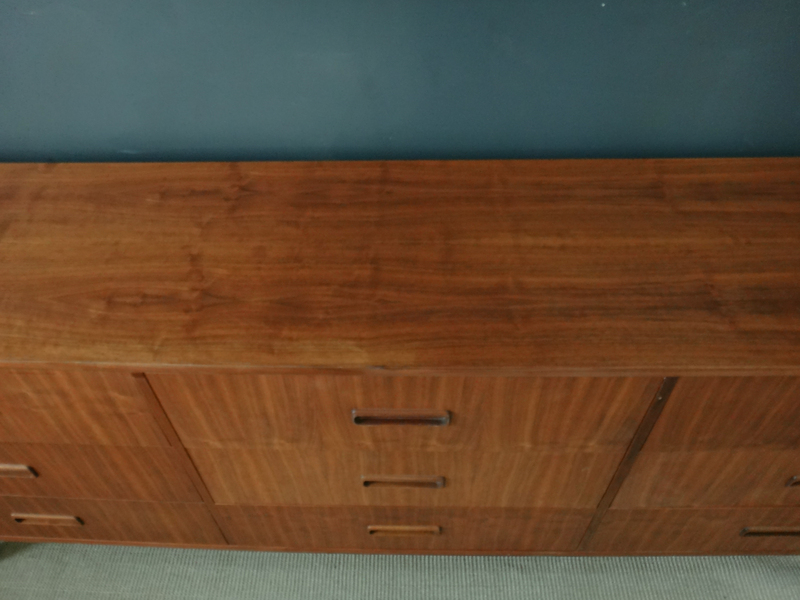 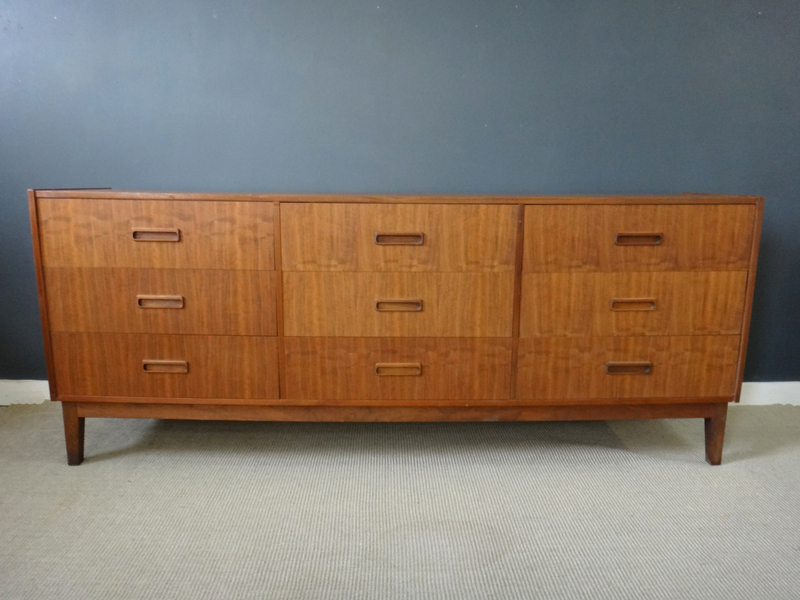 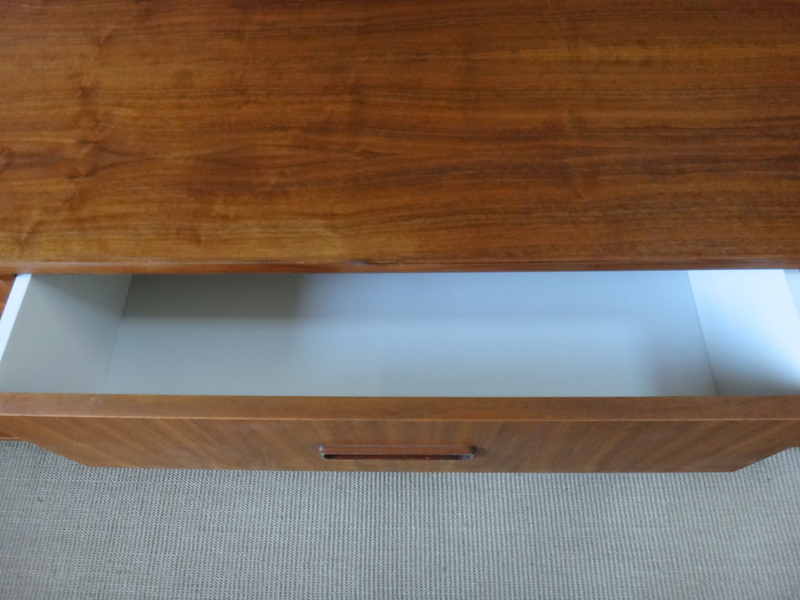 Beautiful teak wood grain on drawer fronts makes this piece shine. 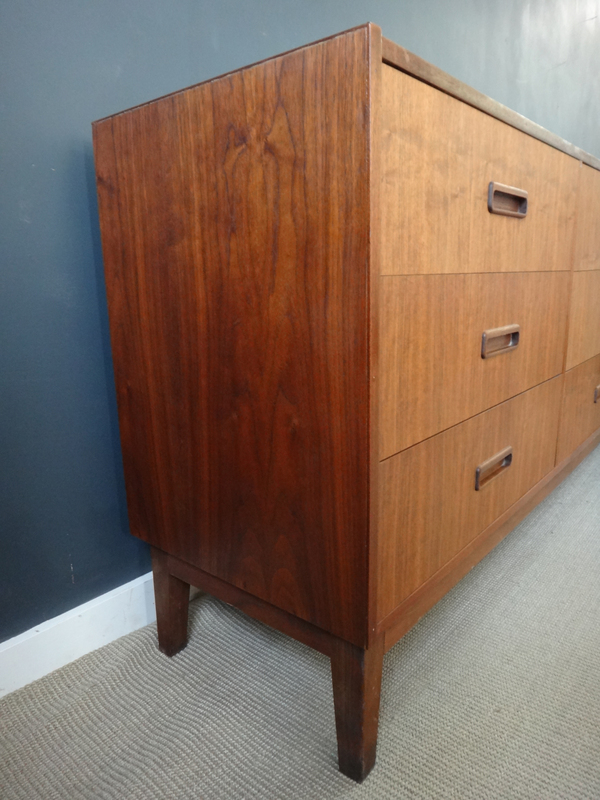 Simple and elegant and in excellent condition.